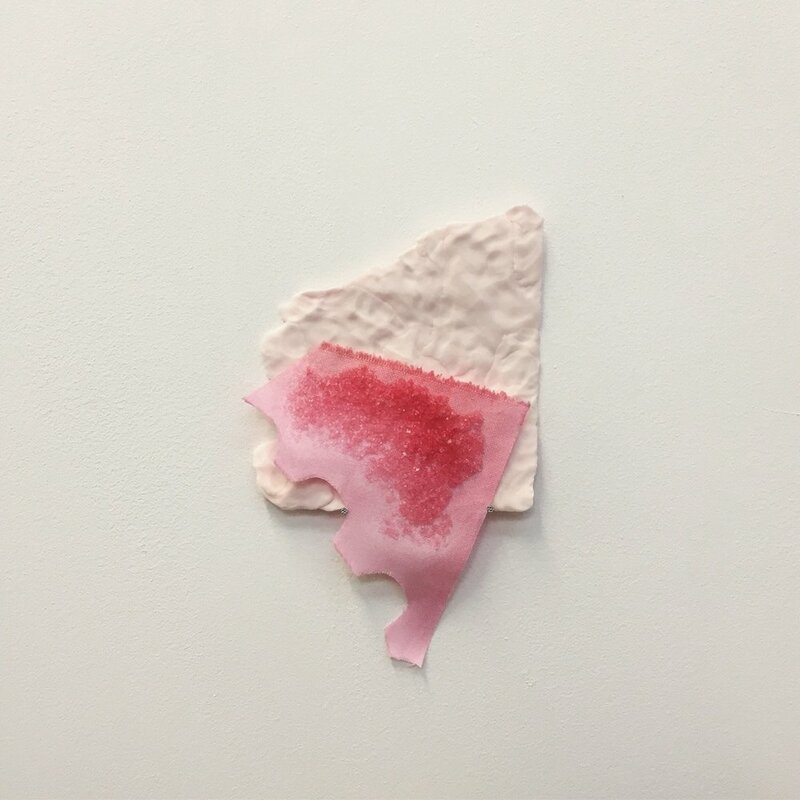 Lekker is a new body of work based on material explorations Stephanie Granlund began in her final year of sculptural studies alongside recent investigations during her time in the Netherlands. Her current practice is predominantly centred on experimenting with once consumable products to then create new art-based materials. This is mainly with sugary food products commonly found in the sweets section of a supermarket or the pantry of a kitchen. Through a process of abstraction and play, the once consumable products move away from edibility and focus turns to their material, tactile and sensory qualities. She enjoys that viewers are easily seduced by the inherent qualities that come with sugary products, but is also interested in maintaining some ambiguity with the highly aesthetic outcomes that are created. The food-based items she engages with are often those that are available in the environment she is working in. Her work is therefore heavily influenced by her surroundings as frequently new materials present themselves in new places. During her time in the Netherlands she discovered many new and some culturally specific food products to play with. She will then frequently play with the sugary products alongside other materials like plaster, fabric and plastic. Due to the transient nature of food, these material connections will often visually evolve over time. The title of her show at Mailbox Art Space is the Dutch word Lekker. When associated with food this word roughly translates to meaning delicious or yummy.